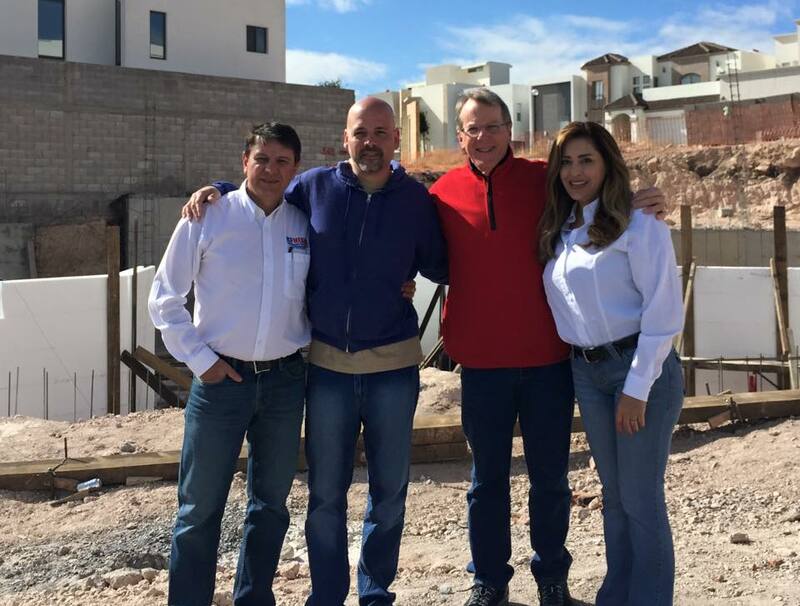 Home » BuildBlock Building Systems visits a BuildBlock project in Chihuahua, Mexico. BuildBlock Insulating Concrete Forms, (ICFs) expands manufacturing to Monterrey, Mexico. This new location increases availability of the ICFs in Mexico making BuildBlock ICF products viable for any project in the Mexico. tial project in the city of Chihuahua, located northwest of Monterrey, Mexico. They joined BuildBlock Distributor ICF México who is in charge of the project. The large three story home is being built using the GlobalBlock ICF for interior and exterior walls. lBlock product is a web optional all-foam ICF. GlobalBlock is the first fully-reversible all foam ICF block of its kind. This screen-grid ICF integrates seamlessly with any BuildBlock form allowing you to save time, effort, and money. GlobalBlock is designed with an optional plastic web insert and is perfect for stucco and plaster finishes. It reduces cost without losing the benefits of ICFs or affecting key structural points.